Residents and visitors of Nitra are able to park in the centre of Nitra more easily from November . The ParkDots system was put into operation, which in the first stage of the pilot project tracks current occupancy at the parking lots on Wilsonovo nábrežie and Mostná Street. 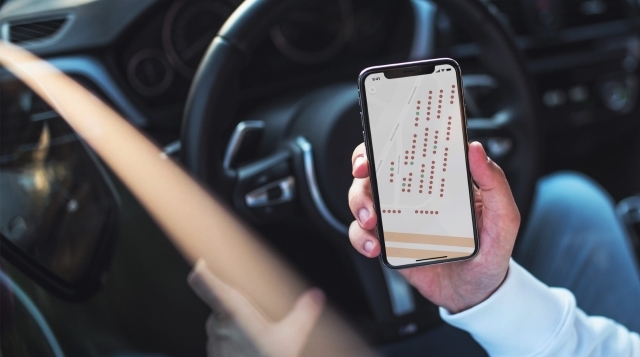 Drivers have the information available in the ParkDots mobile application, which can also navigate them to a free parking space. The local government thus met one of the goals of the parking policy aimed at improving the current situation through modern smart solutions. The new system includes IoT (Internet of Things) in-road sensors on more than one hundred and sixty parking spaces on Podzámska and Mostná Streets and at the parking lot on Wilsonovo nábrežie. The parking sensors send information about the occupancy of every space to the central system, for use by the ParkDots mobile application. Drivers have continuous up-to-date information on parking spaces, which they can easily find. The local government receives statistical data that will enable them to better understand driver behaviour and to adopt measures that will allow better utilization of available spaces. A modern solution for smart cities has been completely developed by Slovak companies. The central system and applications have been developed by PosAm, the sensors are supplied by Gospace, and the data transfer is provided by the latest network for the Internet of Things, NB-IoT, from Slovak Telekom. After Trnava, Trenčín, Liptovský Mikuláš, Dolný Kubín, Prievidza and Bratislava, Nitra is the seventh city where ParkDots helps to improve the parking situation. More cities will join them soon. “We are registering great interest in ParkDots in Slovakia and abroad. In terms of functionality, usability, and price, it is a very interesting solution for many cities as well as private companies that operate car parks," says Martin Budaj, Product Manager at PosAm. “The quality of our solution is affirmed by the fact that it has become an official product of the Deutsche Telekom Group for smart parking for the DT Europe region,” added Michal Bróska, Director of Product Development at PosAm. ParkDots is a combination of state-of-the-art mobile, cloud, and IoT technologies. In addition to monitoring availability and parking payments, it also offers other useful functions. The driver can navigate back to their car, get an alert in case of an unexpected departure of the vehicle from the parking space, and of course he or she can extend the parking time remotely.